Wooden reredos screen. Triptych-style wooden panelling. Names carved in outer panels. 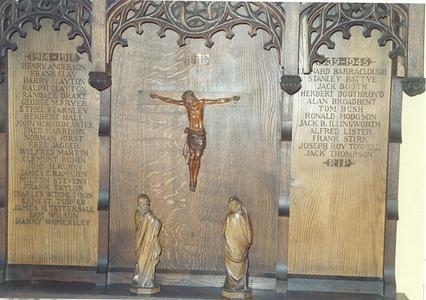 Central panel bears wooden figures depicting crucifixion. Also wooden altar.